Selina Lake is a successful stylist, author, and columnist. She has a monthly column in Modern Gardens magazine and her styling work can be seen in publications including Country Living, Homes & Antiques, and Country Homes & Interiors. 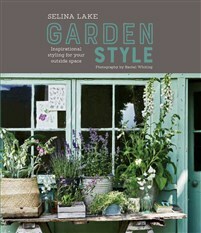 Selina has produced eight books for Ryland Peters & Small, including the bestselling Botanical Style.